The Nashville Daily Union was one of the few newspapers that was established during and that survived the Civil War. 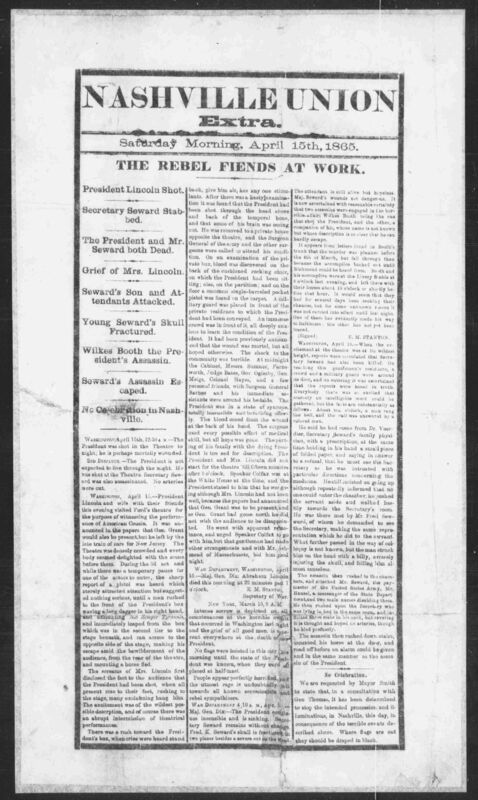 This article prints a dispatch from Secretary of War Edward Stanton to Major General Dix recounting the details of Abraham Lincoln's assassination. The article falsely states that Edward Stanton was also killed. It concludes by declaring that a scheduled procession and illuminations in Nashville will not occur as a consequence of these events.